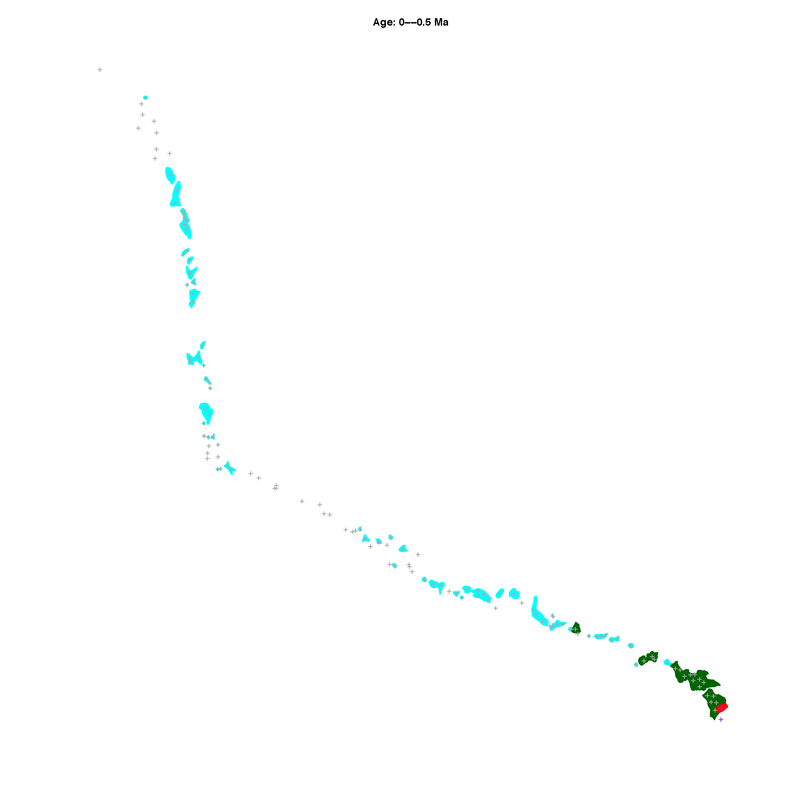 Animation of the geographical history of the Hawaiian Islands / Emperor Seamounts Chain. Produced via an R script by Nicholas J. Matzke, relying on data and model provided by Clague 1996. Time steps are 0.5 Ma. Clague DA (1996) The growth and subsidence of the Hawaii-Emperor volcanic chain. In: Keast A, Miller SE (eds) The origin and evolution of Pacific Island biotas, New Guinea to Eastern Polynesia: patterns and processes. SPB Academic Publishing BV, Amsterdam.